Camera Strap and Mumma Owl models! 90% cotton, 10% silk, Crochet. This little invention came from necessity – sort of! The strap that comes with the camera is rough, hard, ugly and lacks a personality. I wanted something soft on my neck…and I’m sure you’d know by now my favourite colour is Blue! Especially this shade of forget-me-not flowers blue, I love it…and the flowers! I had spotted a few different varieties on pinterest but thought (as I usually do because I’m not fond of following patterns & instructions) that I’d make my own version. It’s basically two long strips crocheted together on the sides and trimmed with a little more fan stitch – stitch of the week obviously! It slides right over the existing strap. If it needs a wash I can just slide it off and wash it, and if I fall for another shade of blue I can make another one! It can be as permanent or temporary as I like – gotta love that. So I found out it’s hard to make a hat look good when it’s flat… tis a cute little beanie but the photo just wasn’t doing it justice. So…. So…I put Mumma Owl to work! 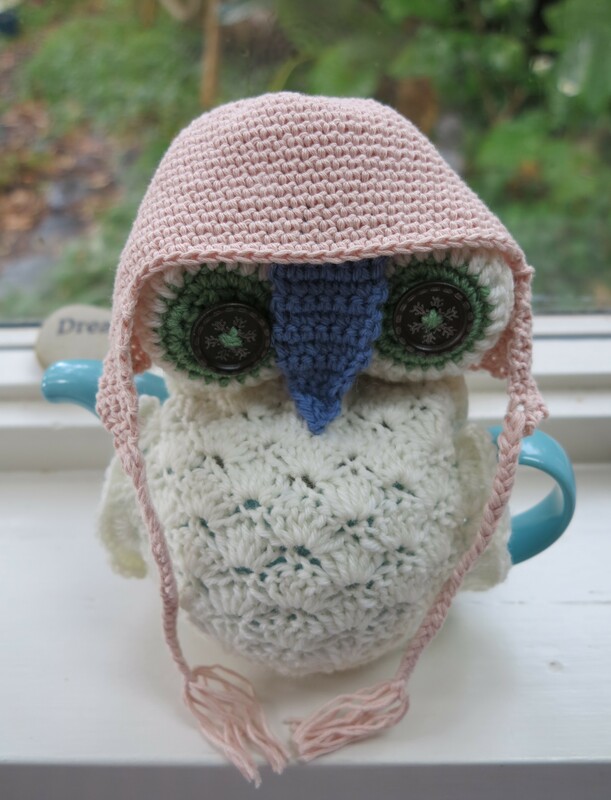 Her second job (after keeping my peppermint tea hot) is now modelling baby beanies…it suits her don’t you think? 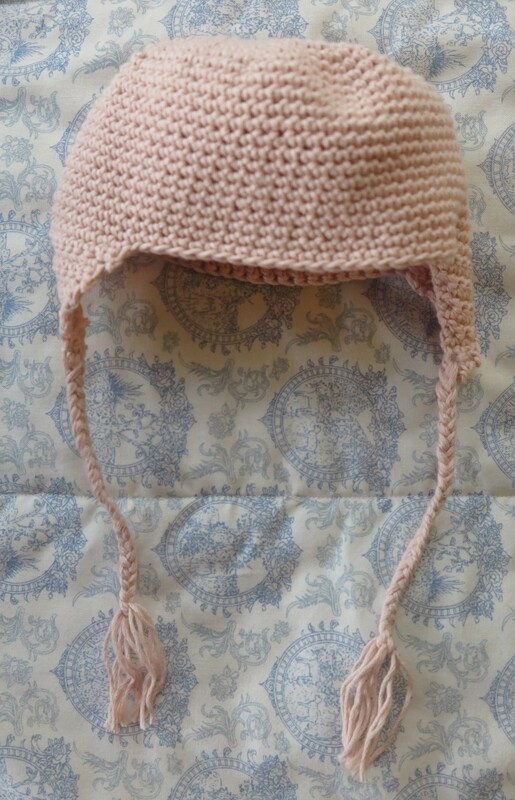 Oh and I found the pattern for this hat here. 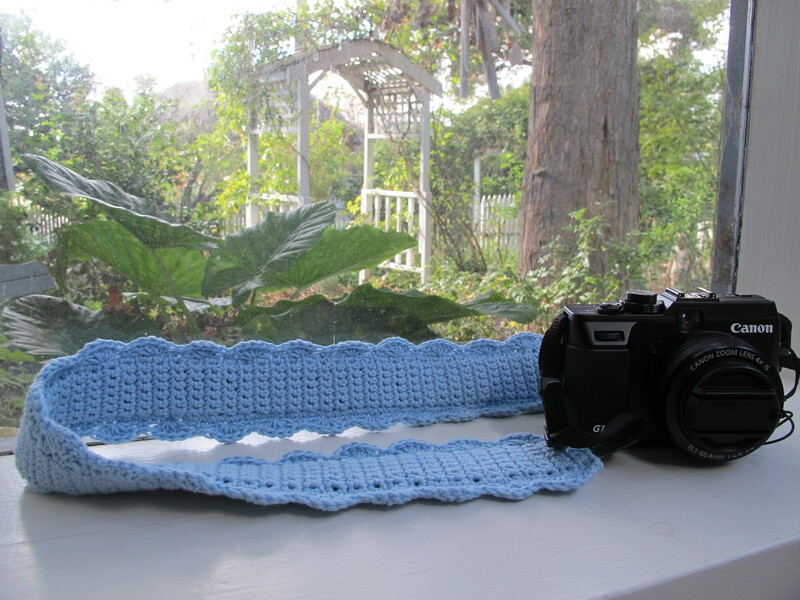 This entry was posted in crochet, Uncategorized and tagged beanie, camera, camera strap, cotton, fan stitch, peppermint tea, silk, single crochet stitch. Bookmark the permalink. I need you to come over and teach me your skills! How I would love to do that Katy! I sure need you to teach me a thing or two with your amazing sewing skills!